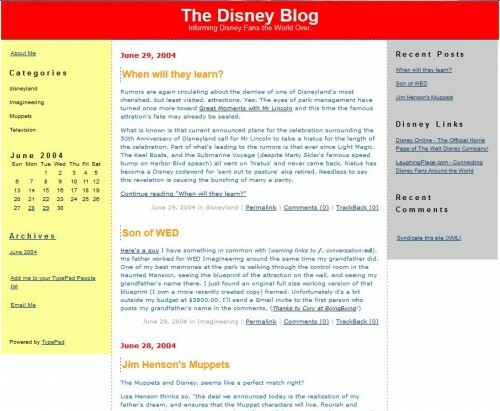 The Disney Blog came to life in June of 2004. I had been blogging off and on about personal things, the real estate market (while we attempted to sell our home), and career prospects since 1998. I had also been writing for the Disneyland travel planning website LaughingPlace.com since August of 1999. 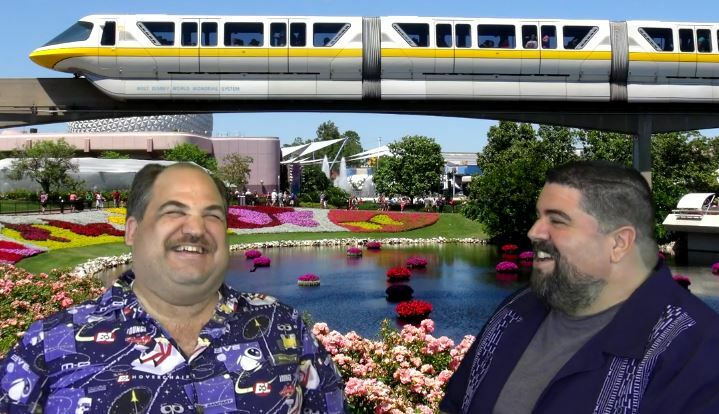 But when I looked around in 2004, there weren’t any blogs that focused on the entire Disney company, just a few talking about Walt Disney World and showing off photos of the parks and resorts. You’re supposed to write about your passion, and there are few things I’m more passionate about than the legacy of Walt Disney and all the magic he brought to the world. Sadly, some of the original posts I wrote during that time were lost when moving from Typepad to self hosted Wordpress. But thanks to Archive.org, we have a good luck at how simple the blog was at its beginning. We’ve tried to keep as much of that simple look and feel as possible through the years. But it does look like technology has finally caught up with us. We’ll be exploring options for moving to a responsible design or a mobile template in the near future. But enough about the blog, this is really about you. The readers. 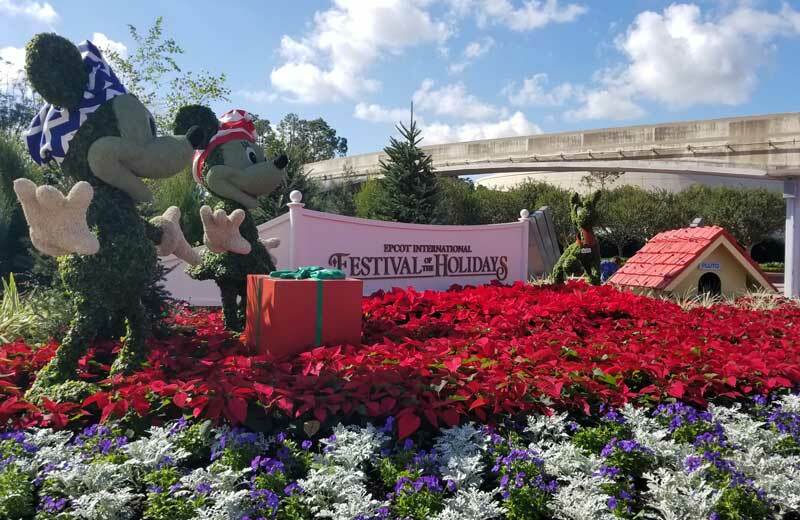 I would probably still be writing about Disney in one form or another, but I definitely wouldn’t be working this hard on The Disney Blog if it wasn’t for you. Thank you for all the emails, comments, social media likes and shares, and for telling your friends about the blog. 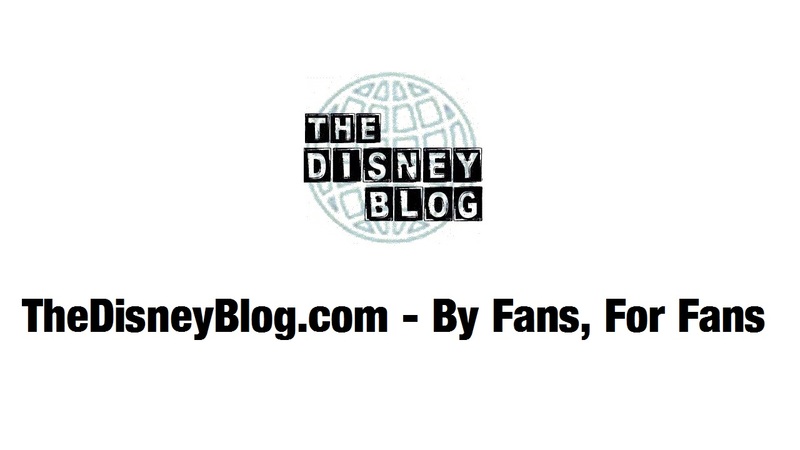 To celebrate the 10th anniversary of The Disney Blog, we’re throwing a “Year of Giving.” Each week we’ll be giving away prizes. Some large, some small. 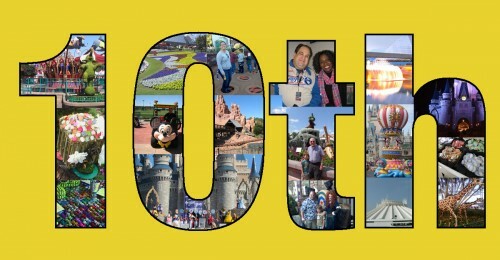 But all with the goal of saying thank you for being part of The Disney Blog community!